With the new release of Archicad v16, it permits me the opportunity to download and test improvements made to IFC support. 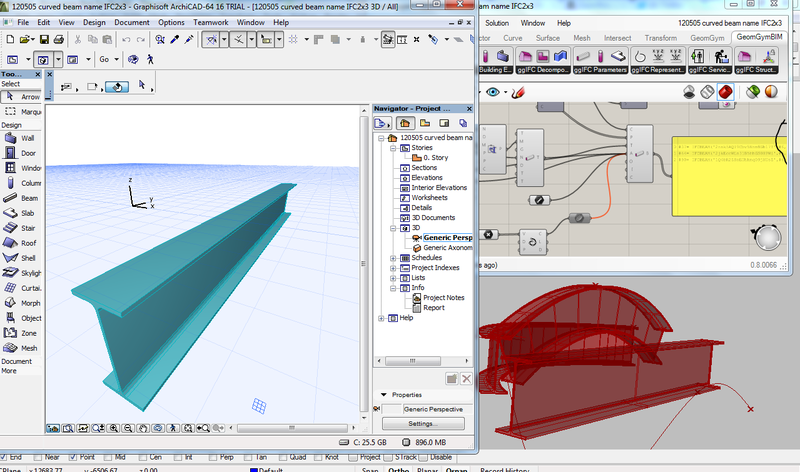 This is still in progress, and initially I was a little disappointed, but revisiting a single test case for Constructive Solid Geometry (CSG) or Solid Element Operation as it might be known to Archicad users leads me to confidence and optimism about IFC exchange with Archicad. So here's the test case that has me excited. I posted nearly 2 years ago about most software reverting to "coordination" IFC models, primarily faceted breps (meshed surfaces). Possibly this is acceptable for visualization and clash detection (but not efficiently) but if you want smart models that can be enhanced and edited down stream, IFC is derived from STEP and capable of many advanced and accurate shape representations. This is also explained in my Technical Paper from last year. So in two years I've still had no success in other software understanding the CSG steps that can define a gothic arch roof, until now. 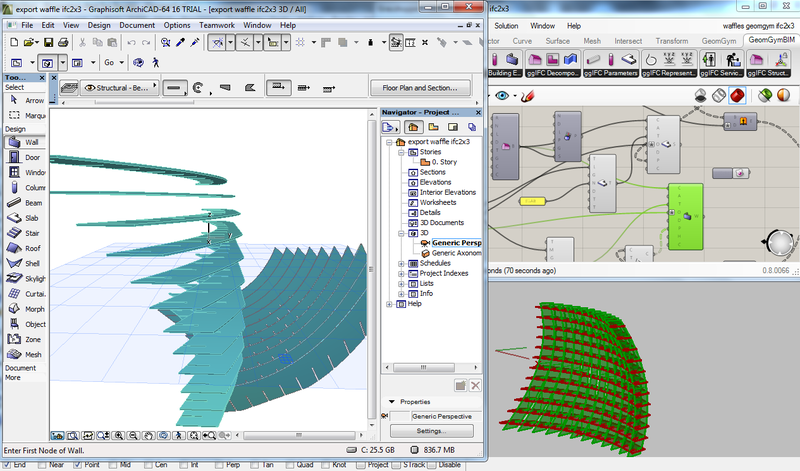 I was thrilled to see Archicad v16 import this accurately, which might enable some really exciting project work flows from Grasshopper. Perspective view doesn't seem to render anything, but isometric does (maybe someone can explain why). 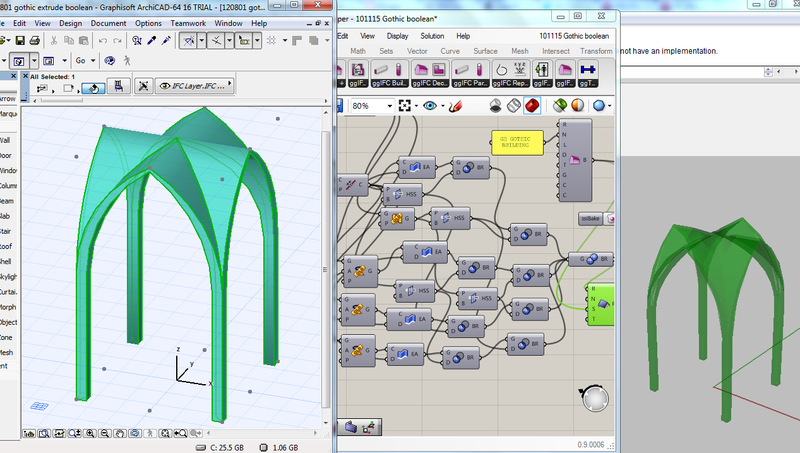 Here's the IFC file if you want to test yourself, and here's the Grasshopper Definition. I'm hoping to do some more tests very soon. If you've comments, suggestions or questions, I look forward to hearing them. 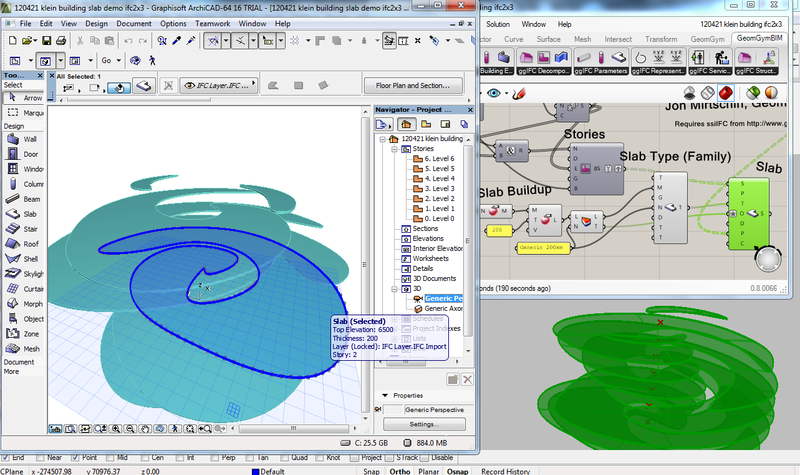 tried importing IFC file in archicad as morph elements already? The new morph elements are adjustable. Yes Morph is a great tool, hope it will work well ! there is a new archicad release.. maybe its time to try again.. PLEASE!!!! how does it preform in archicad 17? You can't see the gothic roof in perspective because us 10 millimeters taller so when we change to perspective it's to tiny... Bit if you doubleclick The scroll in The Mouse ir use The comando fit in Windows you will be able to see them. The gh definitions are unit dependent on the rhino document. If you got a model 10mm high, I probably assumed metres for the rhino doc (I normally put a note in the gh def). I've also put links to IFC files where the scale should be correct (let me know if not). I have been looking a little at ACv17, but good if other users can also share what works and doesn't.